Post time is about software that allows you to delete a program that is installed on our computers. Software is called Your Uninstaller. As we know the Windows OS is Uninstall Programs menu in Control Panel. But the default feature that is owned by the windows is not so perfect when cleaning and to remove the software. And sometimes there are some software or programs that can not be deleted / remove through control panel. 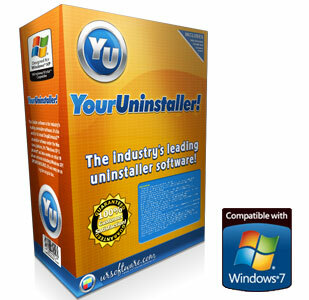 Your Uninstaller is a powerful software and reliable. This program can remove software that we have installed on our PCs are complete and really clean. But not to worry, because this software work the system too quickly and not spelled out to make our computers slow. With the interface display attractive than its predecessor, making it easier for the operation of this software. Also available several new features including a file shredder feature (destructive files), disk cleaner (cleaning your hard drive), and so forth. The mainstay of this software is when to remove a program or software, it will automatically delete the data registry and database-related software. This feature makes this software worth having. So when we meremove a software will thoroughly erased from the computer. And one of the features included in this software is a menu-1 Quick Uninstall similar to TuneUp Utilities software features a function to delete a software that is installed on the hard drive easily with just 1 click. For complete information about this software please visit the official website of ursoftware. I have this kind stuff but I don't know how to operate it. Fortunately this article helped me to do so. Good and very usefull info from that come from you,thanks. Very usefull info that come from you,thanks.